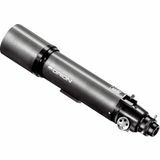 Back by popular demand with upgrades, the EON 110mm ED boasts two-element ED optics, 2.7" hybrid-drive RandP focuser, and now twist-tight 2" and 1.25" accessory collars for convenience and security. 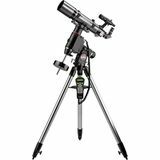 Superb f/6 astrograph or wide-field visual scope! 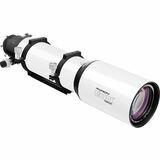 If you're looking for an exquisitely constructed "apo" refractor that can achieve amazing results for both astrophotography and serious visual observing, the versatile Orion EON 115mm ED Triplet is an ideal choice. 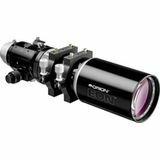 Featuring two ED glass elements for remarkable true-color performance, the Orion EON 85mm ED-X2 Triplet Apo Refractor will satisfy even the most demanding astrophotographers and observers. 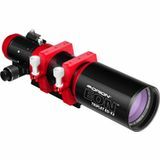 Includes hard case, 2" dual-speed focuser, and more. 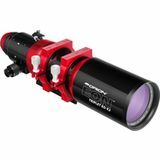 With two ED glass elements for remarkable true-color performance, the Orion EON 104mm f/6.25 ED-X2 Triplet is certain to satisfy your "apo" appetite. 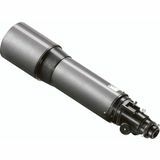 Features a 2.7" dual-speed focuser, and includes a hard case, tube rings, dovetail bar and more. 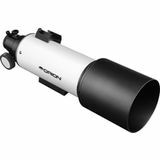 This gorgeous refractor sports a three-element ED objective and huge 3" dual-speed Crayford focuser. 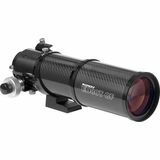 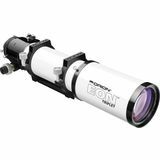 Its big, 130mm (5.1") aperture and moderately fast f/7.0 optics make the EON 130mm Triplet ED an excellent telescope for both imaging and stargazing. 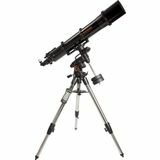 This refractor setup from Celestron features an f/8 objective lens and Celestron's Advanced VX GoTo Mount, which can be paired with many planetary or deep-sky astrophotography cameras to create dazzling astrophotos.